Google has officially made Android 7.0 Nougat available to download for Nexus 6P, Nexus 5X, Nexus 6, and other devices in the Nexus range. The company has also released the final version of the updated platform to OEMs for installation on new and upcoming devices. Today’s final release of Android 7.0 Nougat represents the culmination of months of hard work by Google and its Android engineers, as well as the enthusiastic and passionate testing and development community that has helped to get the platform to where it is today. Google initially announced the first Android Nougat preview earlier this year in March, taking the opportunity at that time to release the initial developer preview of Nougat as ‘N’ to Nexus 6P, 5X, 6, Nexus 9, Nexus Player and Pixel C devices for download and consumption. Interestingly enough, that announcement and release caused some surprise by actually coming before the company’s annual I/O conference. However in classical Google fashion, the name Nougat was announced almost four months after the first preview release. 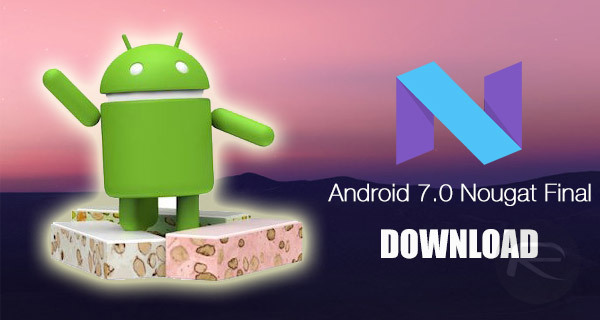 Android 7.0 Nougat itself, like most major platform releases, is packed with changes and improvements that will directly benefit anyone running an Android smartphone or tablet with the latest version installed. With that said, there are of course a number of “Hollywood” feature improvements that Google is directly marketing as being the main serving of this latest update. As an example, Android Nougat features substantially improved notifications as well as split-screen multitasking experience that should keep users better informed. Perhaps more importantly to device owners, Android 7.0 also brings improvements from a memory and battery performance perspective. Apart from this, there is also built-in VR support dubbed Daydream VR, new diverse set of emojis, among other things. So, after months of pushing out developer previews and introducing new features to device owners and testers, Google appears to have put itself into a position where it feels confident enough to issue the final build of Android to OEMs, as well as pushing it out to compatible Nexus devices, meaning that the download links for Android 7.0 Nougat are now live and accessible. 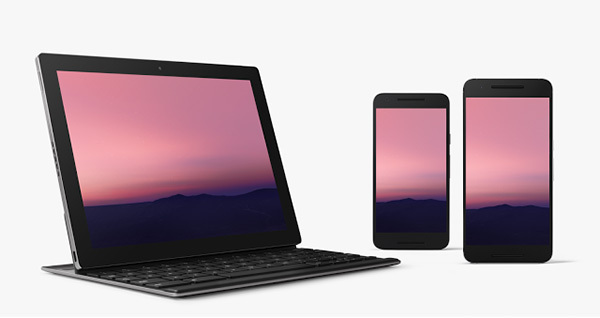 Note: Download links for remaining devices will be added as soon as Google makes them available to public. Update x1: Our step by step how-to install/flash guide for Android Nougat is up: Install / Flash Android 7.0 Nougat Final Version On Your Device Right Now, Here’s How. Unfortunately thanks to Samsung and Verizon my s5 won’t get the update till Christmas of 2017. Slow as hell. That’s the exact reason I jumped the Samsung ship… That and the bloatware. You just say that because you don’t have it. If you had Nougat, you’d be saying how great it is. Stock N, no. But Sammy’s version of N, probably. The only reason I was excited about N back when I had my 6P was split screen windows, but then I tried it and it was a complete mess. Samsung has done a fabulous job with their own implementation, and I really hope they dont change it to Googles stock. Also, things like notification cards, the settings app, and things in general on N look so damn messy. Its so weird to say this being a guy that devoted his money to Nexus phones and always telling people how much he hates Samsung, but TW is actually so much better than stock. So so so much better. Of course only if you take all of the crap bloatware off lol. I love the Samsung hardware but hated their firmware, and always switched to cyngn. Yes you can remove the bloat but having to wait well over a year for basic security updates from Samsung was a bit much. I switched to Nexus on my last upgrade and couldn’t be happier. That said, Anyone know the status of the lawsuit against Samsung for taking over a year+ to push out critical security patches? I can’t remember much on the details. I respect your opinion, but I disagree. TouchWiz is a lot better than it used to be, but the lag always creeps up over time. At least it did for me, and yes I disabled the crap etc.